Landing Lion is a web page building service that helps you create beautiful, custom landing pages on-the-fly. Landing Lion paired with FullStory brings contextual insight to all new heights, allowing you to dive deeper into customer journeys. If you want to turn on FullStory in your Landing Lion account, you'll have to start by having both a Landing Lion and FullStory account. 1. Log into FullStory and copy your recording snippet, found under Settings > FullStory Setup (learn how to find it here). 2. In Landing Lion, navigate to INTEGRATIONS in the upper right corner, and scroll down to FullStory. 3. Toggle the integration on and and paste in your FullStory recording snippet. That's it! 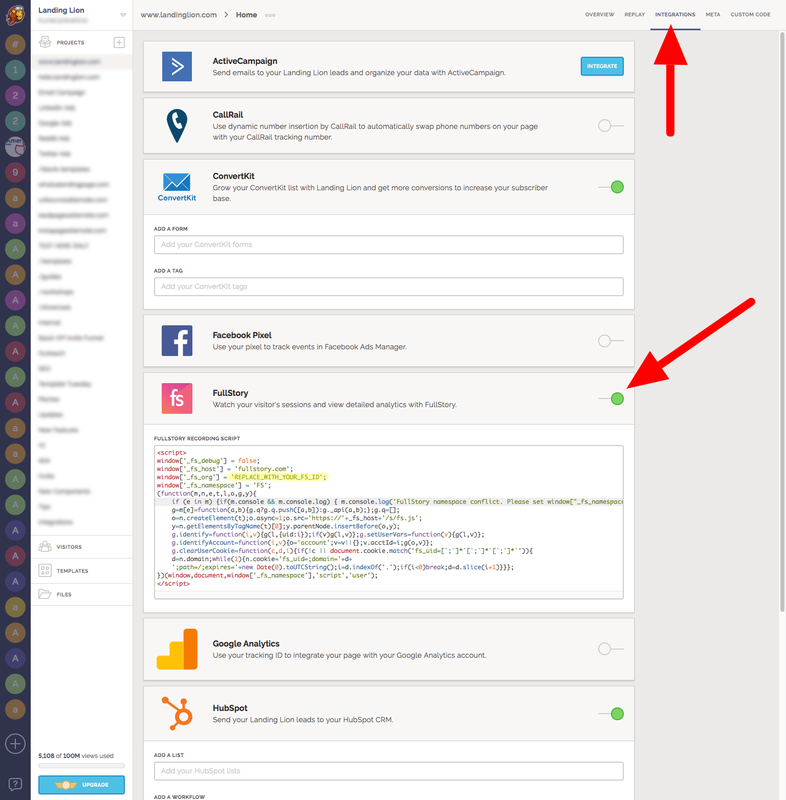 Now you'll be able to start searching for your Landing Lion page sessions directly in FullStory. If you want more details on the Landing Lion ⇄ FullStory integration, hop on over to Landing Lion's integration page (or see their help article).